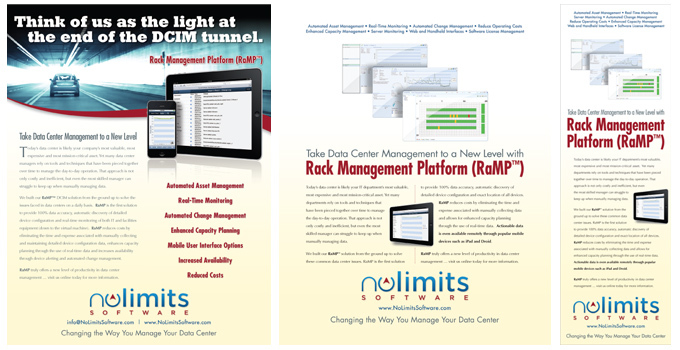 No Limits Software: Print Advertising - TriFecta Creative. Graphic Design and Creative Services for Your Business. Developed overall “voice” in terms of color, style, language and messaging around client’s RaMP product. Guide the use of established brand across various printed platforms from brochures to print advertising to flyers. Worked closely with client to communicate main product highlights in more basic terms, while still retaining the essential meaning.